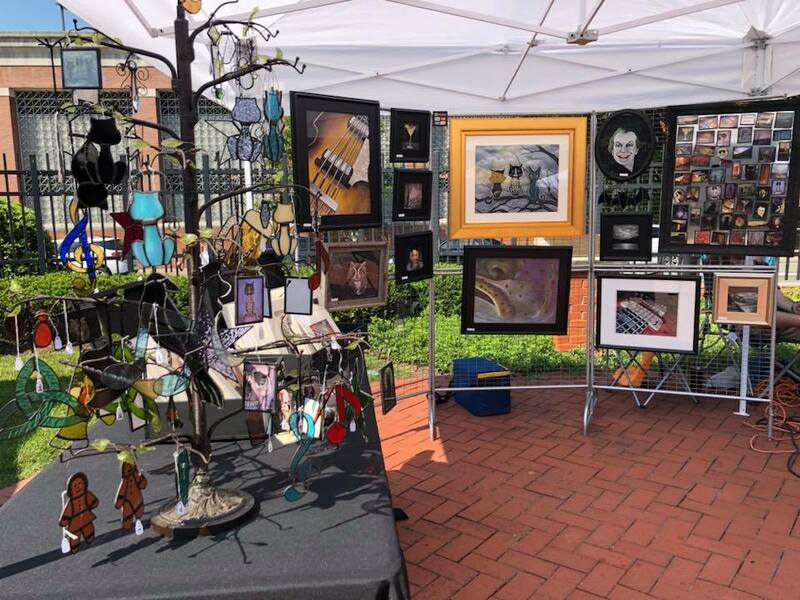 The East End Bazaar is an open-air artisan market where some of Charleston and West Virginia's finest artisans can showcase and sell their wares. The Bazaar originally began its pilot season in 2011 and held five seasons at the corner of Washington St. E and Ruffner Ave. before moving to the Clay Center this year on the second Saturday of the month June through September. The East End Bazaar boasts an impressive list of over 170 vendors, including stained glass, original art, jewelry, photography, and more. If interested in being juried as an East End Bazaar vendor, vendors may click the link below for the official application. If you wish to review the Bazaar policies, they can be found below as well. Direct any questions to Adam Stollings at adam@charlestonmainstreets.org.